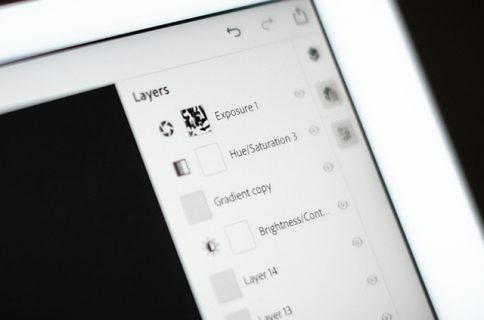 Adobe today issued Photoshop Touch for iPad version 1.3, a major update that finally brings the much-needed Retina graphics to do away with fuzzy user interface elements on the third-generation iPad. Also new in Photoshop Touch 1.3 are two additional image effects called Shred and Colorize and a new pixel nudging mode for precise movements. It now supports Apple’s Photo Stream, an iCloud feature that keeps up to a thousand most recent photos in sync across your devices. Most importantly, Photoshop Touch 1.3 finally supports bigger canvas and up to twelve-megapixel images on the iPad 3 (ten-megapixel on the iPad 2). It was significant enough of an update to warrant a post at the Adobe blog. 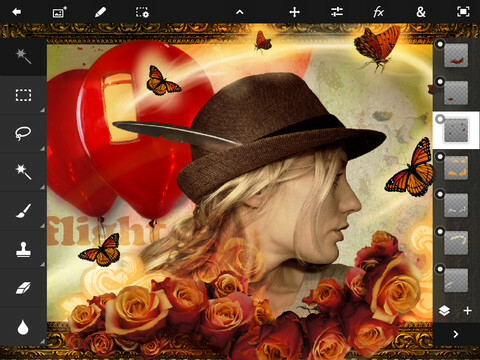 Photoshop Touch can now work with print-resolution images, up to 12 megapixels with several layers. Remember that Photoshop Touch works with up to 16 full-size layers in a single file, all in real-time, in contrast to more simple single-layer apps. Support for an ultra-high resolution canvas finally enables photo editing pros to do some serious field work using Photoshop Touch on their iPad. Note that your resolution now defaults to 4.2 megapixels with ten layers. To get to twelve megapixels, just go to Preferences. My favorite nice-to-have: a three-finger tap to toggle 100 percent view and fit screen. 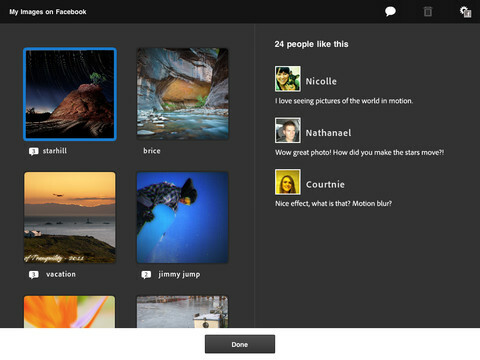 • Retina Display Support: See your images like never before with the Retina display on the new iPad (third generation). • Higher resolution capabilities: Work on high-resolution images while maintaining the highest image quality. Supports images up to 12 megapixels. • Two new languages: Russian and Brazilian Portuguese. 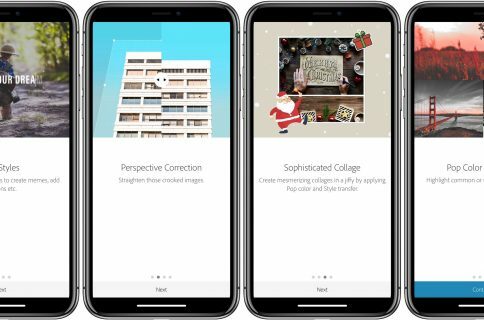 MacStories editor Federico Viticci noted that “some menus, like the font-picking one, are still low-res”. Admittedly, while the app could produce and edit on the iPad’s Retina display, working with surrounding fuzzy UI elements wasn’t the best experience, and it’s good to see Adobe (finally) improving the app with up-to-date features. Here’s what the updated interface looks like. 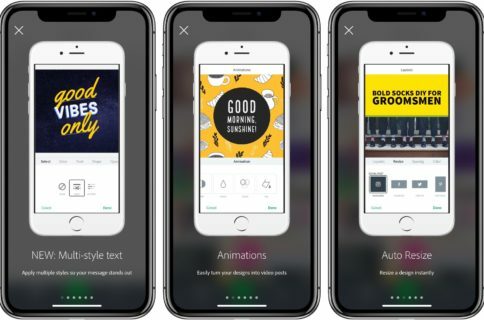 The app got released back in February and our own Jeff was quick to make one of his trademark video walkthroughs the following day, available right here. The Adobe Photoshop Touch app will run you down ten bucks. It’s available from the App Store and for the iPad only. 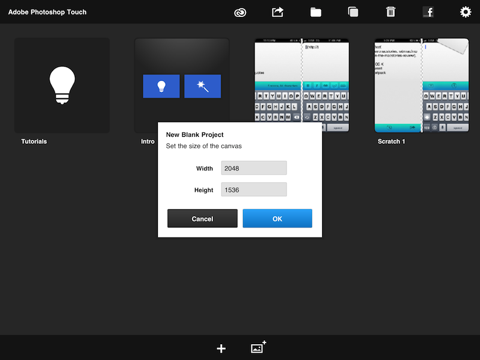 Do you use Photoshop Touch? If so, I’d love to hear your thoughts on it? Specifically, do you think it’s worth the asking price?